Jukebox repairs! Jukebox restoration! Jukebox Servicing! 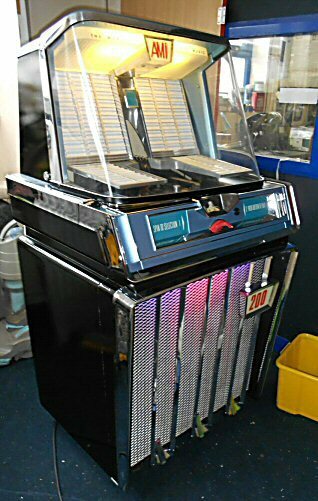 A very popular small jukebox which fits in small spaces. Ideal starter jukebox as it sounds great and plays 100 selections vinyl. Plays dinked records (large centre hole) only.. Being refurbished. Ready soon. A true 'silver age' jukebox, fully restored, rechromed and serviced. Plays 200 selections vinyl. A superb sounding machine. 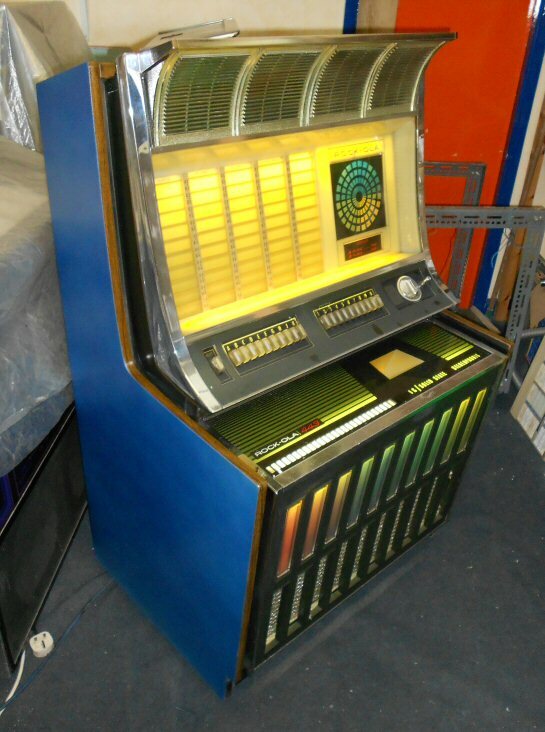 Wurlitzer Baltic Vinyl Jukebox made in 1975. Refurbished. This is a nice looking starter jukebox which is a good compact size. In very nice condition with full stereo sound. Plays 100 selections vinyl. Fully serviced and ready to rock your party. Rock-Ola 443 (1970) 100 selections. This jukebox plays dinked and undinked records (small hole/big hole) so you don't need to cut into your precious records. A good solid stereo sound to rock any party. Dimensions: 28" deep. 33" wide. 53" high. If you are interested in any of these machines just email using the link below or give me a call.